Get Licensed in a Week! 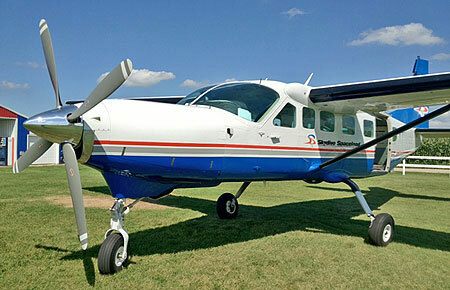 At Skydive Spaceland Atlanta, we usually fly a Cessna Caravan. 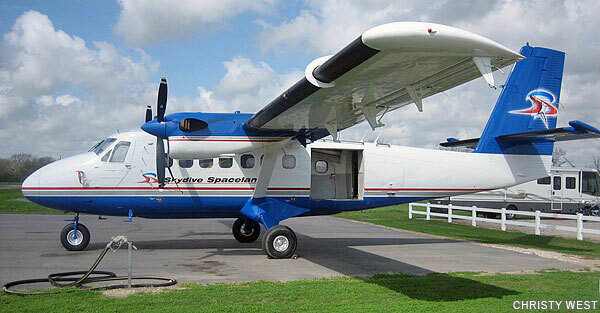 During the famous Birthday Boogie and other occasions, we may also fly a DeHavilland Super Twin Otter. Our Florida location features a Supervan 900, and our Houston/Dallas locations typically fly a Twin Otter and Supervan 900. We also have a King Air for support as needed. Following is some information on each type of aircraft. We also lease, buy, and sell aircraft (for more information: email Steve Boyd or call him at 281-369-3337). Capacity: nine passengers or 13 with FAR Part 23 waiver (airline configuration). 14 jumpers in skydiving configuration. 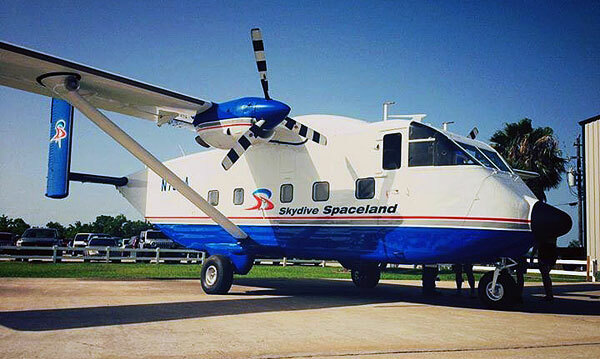 Capacity: Skydiving configuration: One pilot and up to 23 skydivers. With seats, 19 passengers plus 1 or 2 pilots and possibly a flight attendant.